Livestock transportation company Livestock Express was formed in 1988 in response to rapid growth of Lynch Livestock Inc. At that time, the fledgling hauler could operate trucks without an eye on how many hours a day a driver had run or how many hours that driver was off the road. The primary mission for the company has always been simple: get the livestock to producers and packing plants in a timely, humane and professional manner. However, operating under the same federal Hours of Service guidelines as a trucking company hauling cartons of durable goods destined for big-box store shelves has put a strain on Livestock Express’ 26-truck operation. The Hours of Service regulations place limits on the number of hours a driver can operate a commercial truck. And while that has helped keep the nation’s roadways safer, it complicates matters for carriers of those who transport live animals and help put food on American tables. In August and September the Washington, D.C.-based Federal Motor Carrier Safety Administration, a division of the U.S. Department of Transportation, sought public comments on key changes to Hours of Services regulations that many in the agricultural trucking industry believe will lighten their burden. The key changes include: Expanding the current 100 air-mile “short-haul” exemption from 12 hours on-duty to 14 hours on-duty, in order to be consistent with the rules for long-haul truck drivers; extending the current 14-hour on-duty limitation by up to two hours when a truck driver encounters adverse driving conditions; revising the current mandatory 30-minute break for truck drivers after eight hours of continuous driving; and reinstating the option for splitting up the required 10-hour off-duty rest break for drivers operating trucks that are equipped with a sleeper-berth compartment. Perry explained that his drivers sometimes are hamstrung by current hours of service regulations because they face unexpected adversity during the loading and unloading process. He is a part of a group of about 10 livestock transportation operators in Iowa who have been diligent in their efforts to educate Iowa’s Congressional delegation about the burdens Hours of Service rules place on the industry. On Oct. 15, a group of organizations representing livestock, bee and fish haulers nationwide doubled down on their efforts by submitting to the DOT a petition that asked for a five-year exemption from certain Hours of Service requirements for livestock haulers and encourages the agency to work with the livestock industry to implement additional fatigue-management practices. Among its proposals, the group wants to see the current drive time limit of 11 hours extended to 15 hours and the total on-duty hours extended to 16 from 14, following a 10-hour consecutive rest period. Any livestock hauler wishing to operate under the extended drive time would be required to complete pre-trip planning and increased fatigue-management training. The group cited Federal Motor Carrier Safety Administration data that showed that between 2013 and 2015, livestock haulers accounted for 6.6 percent of all commercial drivers, but less than one percent of crashes involved large trucks. That would be a welcome development to operators such as Perry, who has to grapple with the regulations on top of other business challenges such as a nationwide driver shortage and continuously increasing operating expenses. Steve Hilker, owner of Cimarron, Kansas-based Steve Hilker Trucking and chairman of the United States Cattlemen’s Association Transportation Committee, said the organization has worked tirelessly to educate members of Congress on the unique challenges facing the livestock transportation industry. That has been complicated by the fact that many groups have voiced an opinion on the matter and muddied the waters. However, he and U.S. Cattlemen’s members are continuing to push for passage of Senate Bill 2938, the Transporting Livestock Across America Safely Act, which was introduced May 23, 2018, by Benjamin Sasse (R, Nebraska). A parallel bill HR 6079, was introduced in the House June 12. It is sponsored by Rep. Ted Yoho of Florida’s Third Congressional District and cosponsored by 64 representatives. The Act requires the Department of Transportation to amend regulations on hours of service for commercial drivers who transport livestock or insects within a 300 air-mile radius from where the on-duty time of the driver begins. The regulations must: (1) exclude from the driver's on-duty time certain activities, such as loading or unloading a commercial motor vehicle; (2) change the driving time requirement to a maximum of not less than 15, and not more than 18, hours within a 24-hour period; (3) permit the driver to take one or more rest periods during the trip, which shall not be included in the calculation of the driving time; (4) require the driver, after completion of the trip, to take a rest break for a period that is five hours less than the maximum driving time; (5) exclude from the calculation of the driving time any additional driving to the point of delivery if the driver is within 150 air-miles of the point of delivery; and (6) make inapplicable the requirement that the driver take a 10-hour rest period before driving. Neither bill has gained much traction and upcoming midterm elections have effectively put the brakes on their progress. However, proponents press on, undeterred. “If we don’t see changes, it’s going to be disastrous for the livestock industry,” Hilker said, adding that current Hours of Service Rules could threaten to drive smaller operators out of business and put a strain on an already sparse pool of qualified drivers. That heightens the sense of urgency within the livestock transportation industry. “We need to continue to make our voices heard,” Hilker said. Duane DeBruyne, the acting director of the Office of External Affairs for the FMCSA said that more than 5,200 submissions were made to the Federal Register docket during the public comment period. Next comes the work of examining all sides of the issue. “The Agency is thoroughly reviewing the comments and evidentiary materials that were submitted,” DeBruyne wrote in an emailed statement. “A decision concerning next steps will be made once the review of the submitted comments and materials is complete.” He did not provide a timeline for the process. 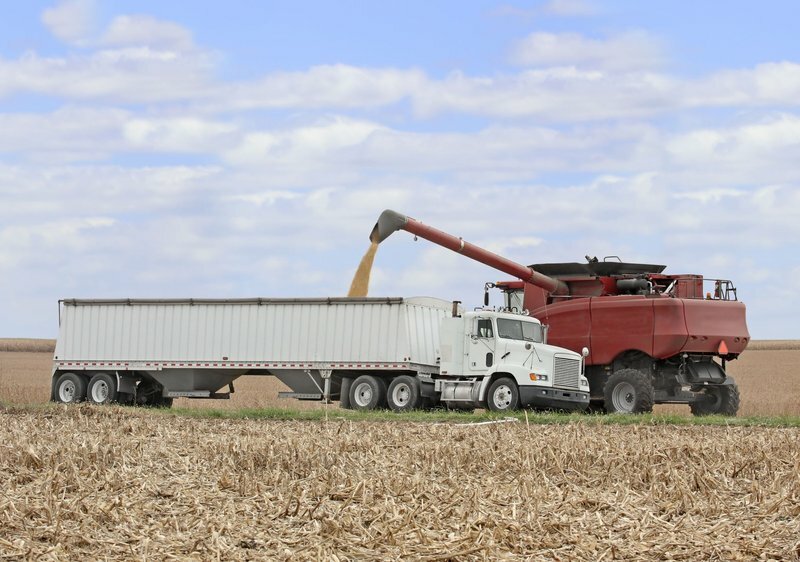 However, Grain Valley, Missouri-based Owner-Operator Independent Drivers Association, one of the key organizations behind the push for revamped regulations is encouraged by the willingness of the FMCSA to weigh the comments and consider making changes. The strain that livestock haulers are feeling from the Hours of Service regulations could be exacerbated by new federal regulations that went into effect earlier this year requiring most FMCSA-regulated trucking companies to fully convert from paper logs to electronic logging devices, with some exceptions. ELDs connect to truck engines to log vehicle motion. They are required on trucks older than the 2000 model year, and must be certified and registered with the FMCSA. They do not transmit live, but law enforcement officials can access the data from a stopped truck through Bluetooth, USB or printout. A current exemption for livestock haulers, tied to a federal spending bill, is in place until Dec. 7, 2018. It is expected that another exemption will be put into place before Dec. 7, or the 2019 spending bill will be passed. It contains an exemption that extends until Sept. 30, 2019. That will buy livestock hauling operators and trade groups additional time to lobby Congress to create permanent exemptions or establish alternatives that more closely align with their specific needs. To learn more about the Transporting Livestock Across America Safely Act, visit www.congress.gov, and search for S. 2938 or H.R. 6079. To follow the FMCSA Hours of Service rulemaking process, visit www.fmcsa.dot.gov/newsroom/news.